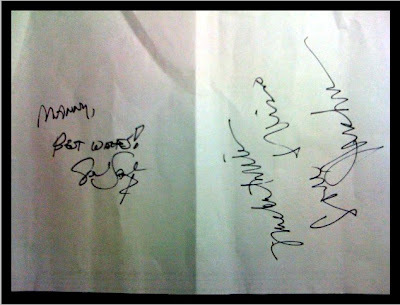 Autographs were collected last December 14, Monday, right after the Feel Harmony free concert at Power Plant Mall. Gerard Salonga is the conductor of Filharmonika, one of the country’s omnipresent orchestras, and, in case you don’t know yet, is the brother of Lea Salonga. Michael Williams is part of the original cast of “Miss Saigon”. Menchu Lauchengco-Yulo is undoubtedly one of Philippine theater’s finest actresses of all time.